Pocket folders, also referred to as presentation folders, are most frequently used to present multiple pieces of information in one packet to your customers, employees, or prospects. Because they are often used to present information in a sales or knowledge-based situation, they have to look very professional. 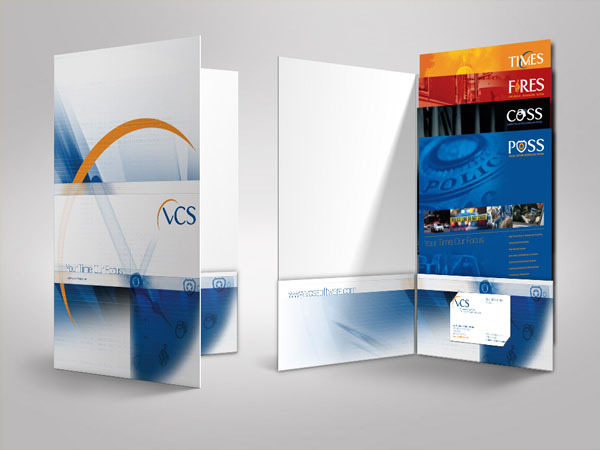 Well-done folders can make or break a first impression. We have lots of great ideas of our own (we’ve seen it all! ), or we can match what you already have. We offer a vast variety of paper stocks, colors, sizes, finishes, and interiors. There are gloss or matte finishes; extravagant linen stocks; multi-color foil stamping; single or double pockets; full, saturated color or simple logos on plain white – the choices are boundless.